A useful reference covering vibration measurements taken using Proximity Probes (Bently Nevada, Vibrometer etc) and Accelerometers. The guide references the major standards in use for machinery condition monitoring, ISO 10861, ISO 7919 and API617. The guide also gives specific cover most major machine classes ... Gas Turbines, Pumps, Centrifugal Compressors and Reciprocating Machines. Results are displayed with Acceptance, Alert and Alarm criteria in both International/European and North American units. 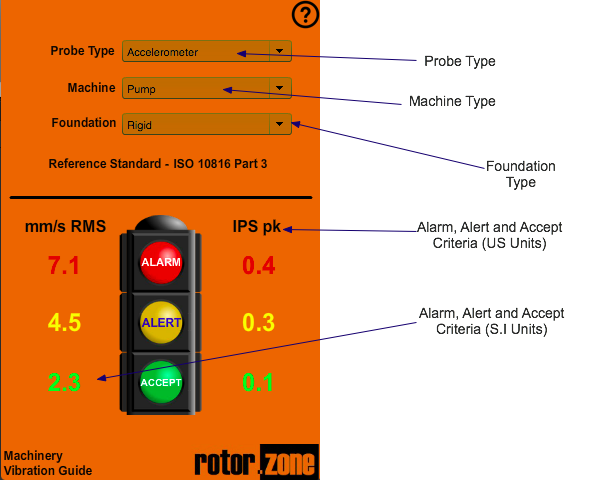 A “must have” app for condition monitoring specialists and rotating equipment engineers.